Prophecy in Rev 13:11-18 says that the ten-horned beast, the New World Order (NWO), has (1) an image, (2) a mark of (3) the name, and (4) a number. These are the four distinctive attributes of the beast that are important to know. They will be subjects of this and following chapters, as we will start with the image of the beast. The stage has already been set for the Trilateral Commission and EurASEC in the fulfillment of The Big Four in Ezra’s prophecy to rule the world despite the inherited differences and antagonism between the countries in the Trilateral Commission from the one hand and Russia on the other. The prophecy of 2Es_12:11-30 does not say that they will rule in accord but simply that when the middle time begins to approach: four kings shall be kept until their end begins to approach. (See Appendix The Last Kingdom for more on Ezra’s prophecy). The connecting link between the Trilateral Commission and EurASEC was the Group of Eight (G8) of the governments of eight of the world’s most influential countries not necessarily the strongest economies: the U.S., U.K., France, Germany, Italy, Canada, Japan, and Russia. In actuality, this is the Trilateral Commission and Russia. After the annexation of Crimea by Russia and the war in Eastern Ukraine, the group expelled Russia and returned to its original format: G7, thus deepening the gap in the Big Four which will rule (is already ruling) the world. Despite the antagonism in the Big Four, however, the ten-horned beast or the New World Order needs a puppet that will act like a smoked glass. And on the stage of the world theater the Asia-Pacific Economic Cooperation, APEC, is introduced. The idea of APEC was firstly initiated by Australia in January 1989. Later that year, twelve Asia-Pacific economies met in Canberra, Australia to establish APEC. The founding members were: Australia, Brunei Darussalam, Canada, Indonesia, Japan, Korea, Malaysia, New Zealand, the Philippines, Singapore, Thailand, and the United States. China, Hong Kong, and Chinese Taipei joined the union in 1991. Mexico and Papua New Guinea followed in 1993. Chile acceded in 1994. And in 1998, Peru, Russia and Viet Nam joined, taking the full membership to twenty-one. As said above, the ten-horned beast, the New World Order (NWO), has (1) an image, (2) a mark of (3) the name, and (4) a number. The first one is the image of the beast. The prophecy is very specific that the image of the beast looks like a lamb but speaks like a dragon and causes to be killed as many as would not worship itself. The image of the beast is an assembly of men representing the ten-horned beast and deriving its authority from the two-horned beast. This image represents the ten-horned beast. For else it could not be his image nor would men worship it as they worship the beast. For as the reason why idolaters worship idols is because they look upon them as the representatives of their gods, so the reason why the worshippers of the beast do also worship his image should be that they account it his representative. 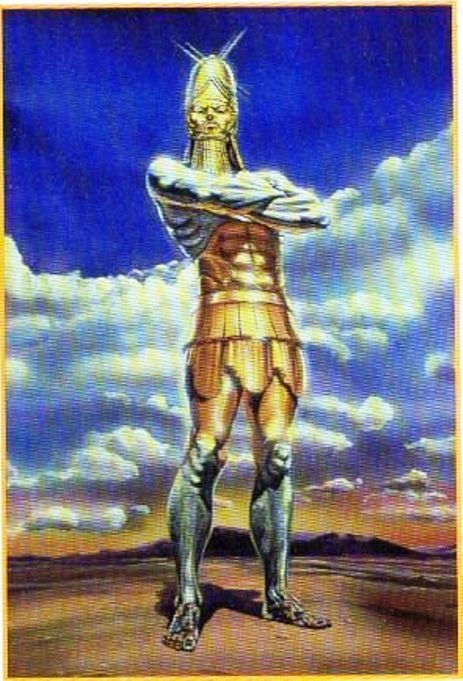 It cannot be called his image without respect to likeness, as the statue set up by Nebuchadnezzar was called Nebuchadnezzar’s image. … It is some kind of authority and not an image of wood or stone or metal because it receives life from the two-horned beast so that it could both speak and cause that as many as would not worship it should be killed. Nor is it so likely that a material image should be made to represent a political body whose form consists not in any external shape but in authority and dominion. This authority is derived from the two-horned beast which is a smaller political entity than the ten-horned beast. The image is distinct from the authority of either beast, being neither the authority of the ten-horned beast but his image, nor of the two-horned beast because derived from him, and enlivened by his power, nor of both together because mentioned together with them both as a third thing distinct from both ch 13 & 19. It’s placed rather in a body of men then in a single person: for so it will more truly represent the Beast who is not a single person but the most universal body politique. The image is not a foreign kingdom or body politique but a body of men made or constituted within those nations which worshipped the beast. For it is made by his worshippers as may appear by comparing ch 13. verses 8 & 12 with verse 14: and these worshippers are the universal kingdom beyond whose bounds nothing is considered in this part of the prophesy. Were the image a foreign kingdom it would not be so much an image of the beast as a distinct beast it self having its proper subjects. Joining all these considerations, it must necessarily be some assembly of men (as a Senate, Parliament, or Council) selected and convened out of the subjects of the beast to be his representative. For such and none but such a body politique can significantly be called the image or representative of a kingdom. … To worship the beast and his image (Rev_13:15) is to receive and trust in their authority, to believe and rely on their decrees statutes or opinions upon the account of their authority, to have that faith in them which is dew only to God. In his Untitled Treatise on Revelation, Isaac Newton could not have penned (from his time) more accurately the geopolitical environment of the 21st century than what he already wrote. And indeed, the two beasts in Revelation are two political bodies of governments, as discussed in the previous chapters: the ten-horned beast is an agency of the ten unions and the two-horned beast on the other hand must be a smaller one in authority and power, as the account of Revelation 13 indicates. This smaller beast is actually a smaller entity , because it has two horns (that is two kingdoms, or we may say from what we have learned so far, two unions under its authority). And, as the prophecy says, this smaller but not less powerful beast is arrogant, since it exercises all the authority of the ten-horned beast (the New World Order) in its presence. The two-horn beast causes the earth to accept the New World Order that has been resurrected from the ashes of the world history, or as the prophecy put it: wounded by the sword, yet lived. When Yochanan (John) says, And I saw another beast coming up out of the earth, speaking of the two-horned beast, it does not necessarily mean that the two-horned beast is coming from the ten-horned beast. Rather, we need to note that Yochanan was given to see a smaller beast that shows up after the ten-horned beast. This detail is important, because it comes to tell us that it has a lesser authority and not because it is born or derived from the greater beast, that is the ten-horned beast or the New World Order, as if forming another kingdom. So where the image of the beast Apoc 13 is said to speak and cause that as many as would not worship the image should be killed; it must be by some law that they were killed, and the image is not the officer that killed them but the author of their being killed, that is the lawmaker. It spake and caused them to be killed that would not worship it; that is, it spake with authority so as to cause them to be killed that would not obey its voice. What Newton is saying is this: the two-horned beast in Revelation creates an image of the ten-horned beast and this image must be some kind of political assembly of men as council or group, for instance, selected and convened out of the subjects of the beast to be their representative. To worship the ten-horned beast or the NWO and its representative (the council of men) is to receive and trust in their authority even in a literal sense, to believe and rely on their decrees, statutes, or opinions solely on the account of their authority. This means only one thing: a total submission and total obedience to the New World Order and its image. Not who but rather what is the two-horned beast and what is the image of the beast? After the WWII, U.S.A., Canada, and some countries from West Europe created a political and economical axis, whose military wing was and still is the North Atlantic Alliance (NATO). That political pact was created with the purpose to be a counter part of the communist threat from the Soviet Union. Thus, the Atlantic pact was born on 4 April 1949 with the creation of NATO. The truth of the matter is that this threat was created in order to justify the offspring that was about to be brought forth. In March 1954, the USSR, fearing “the restoration of German Militarism” in West Germany (which was in the controlled zone of the U.S. and Great Britain), requested admission to NATO. The Soviet request to join NATO arose in the aftermath of the Berlin Conference of January–February 1954. The Soviets made different proposals to have Germany reunified and elections for a pan-German government, under conditions of withdrawal of the four powers and German neutrality. But all of the proposals were refused by U.S.A., U.K., and France. Emblematic was the position of British General Hastings Ismay, supporter of NATO expansion, who said that NATO “must grow until the whole free world gets under one umbrella”, understand One World Order. He opposed the request to join NATO made by the USSR in 1954 saying that “the Soviet request to join NATO is like an unrepentant burglar requesting to join the police force”. So, as a counter measure the Soviet Russia created the Warsaw Pact six years after the creation of NATO and thus the so-called Cold War began. In reality, the Cold War began with the end of the “hot” one, when the U.S. dropped two atomic bombs over Japan. Those bombs were not meant only to force Japan to surrender, but to show also who was the new leader of the world. Thus, the new atomic weapon was used to intimidate Japan, but also the Soviets. One way or the other, the A-bombs gave the beginning of the Cold War and the nuclear race from that moment on. In the next step, the western powers further strengthened the United Nations which, let us not forget, was created by the U.S. after the WWI. In such a manner the UN became the precursor of the Big Ten or what is known now as EU, ASEAN +3, NAU, EurASEC, UNASUR, CCASG, ANZUS, SAARC, MEU, and AU, or the ten economic, political, and military unions. This we studied in the preceding chapter “The Ten-horned Beast. Key Players of the Last Days.” Therefore, the Big Ten is nothing less and nothing more than a further development of the UN, whose political model and goal is the New World Order or then-horned beast. Or otherwise put, the UN is the façade of the ten-horned beast. So, if the United Nations, or the ten political, economical and military unions the world body is comprised of, is the then-horned beast, then the two-horned beast in the prophecy is the political union of two “horns” on the both sides of the Atlantic: North America and West Europe, and its military bloc NATO. Again, in the prophecy this union is represented by the two horns. As Yochanan was given to see a smaller beast that shows up after the ten-horned beast, that is it has a lesser authority, so the political and military axis of North America and West Europe emerged on the scene after its higher authority the United Nations. This union between North America and Western Europe, namely the two-horned beast, gave birth to an image of the ten-horned beast (NWO) and this image is a powerful and influential group of men, or as we will see below, a government in shadow. So far in our study, we counted ten key players in the last day prophecy: EU, ASEAN +3, NAU, EurASEC, UNASUR, CCASG, ANZUS, SAARC, MEU, and AU. But who is the eleventh player (not an eleventh horn) on the stage? No doubt, this would be the image of the beast spoken of in Rev_13:11-18. According to Newton, that would be a unelected group of influential people which pulls the strings behind the scene. With that being said, we come to the point to decipher what the image of the beast is. The roots of Bilderberg Group go back centuries, when international moneychangers would secretly manipulate the economy to enrich themselves and enslave ordinary people. The Rothschilds of Britain and Europe have met secretly with other financiers for centuries, as did the Rockerfellers of America. In the beginning, the Rothschilds were known as “Red Shields” because of the ornament on their door and the Rockefellers of Germany were “Rye Fields” because of their crops. Today, The Bilderberg Group, aka Bilderberg Conference, or Bilderberg Club, is an annual private conference of approximately 120 to 140 invited guests, notice, from North America and Europe, all people of great influence. About one-third are from government and politics, and two-thirds from finance, industry, labor, education, and communications. Some background concerning the Bilderberg Group: ‘Bilderberg’ [the German word bilder is the plural of a picture, paintings; berg means mountain and probably Bilderberg means a mountain of pictures] takes its name from the hotel near Arnhem, belonging to Prince Bernhard of the Netherlands. Actually, Prince Bernhard of the Netherlands was a former SS officer. In May 1954 the first meeting took place to establish what has ever since been called the Bilderberg Group. The original conference was held at the Hotel de Bilderberg in Oosterbeek, Netherlands, from 29 to 31 May 1954. It was initiated by several people, including Polish politician-in-exile Josef Retinger. He was concerned about the growth of anti-Americanism and pacifism in the post-war West Europe and proposed an international conference at which leaders from Western European countries and the United States would be brought together with the aim of promoting Atlantism – better understanding between the cultures of the United States and West Europe in order to foster cooperation on political, economic, and defence issues. Out of this initiative, not surprisingly, the Bilderberg Group was born. Fifty delegates from eleven countries in West Europe attended the first conference, along with eleven Americans. The success of the meeting led the organizers to arrange an annual conference. A permanent steering committee was established, with Retinger appointed as permanent secretary. It is interesting to note that when the Bilderberg Group planned for the European Common Market (the precursor of the E.U.) in 1955, it came into being just three years later in 1958. From that point Bilderberg used trade treaties to gradually create the European Union in 1993. As well as organizing the conference, the steering committee also maintained a register of attendee names and contact details, with the aim of creating an informal network of individuals who could call upon one another in a private capacity. Meetings are organized by a steering committee with two members from each of approximately eighteen nations. Official posts, in addition to a chairman, include an Honorary Secretary General. There is no such category in the group’s rules as a “member of the group” instead, an invitation list is comprised each year by an unknown steering committee, but participants are mainly leading and powerful figures in the fields of business, politics, and military. The only category that exists is “member of the Steering Committee”. In addition to the committee, there also exists a separate advisory group, though membership overlaps. However, there some regular attendees and they are: Eric Schmidt, the Google chairman; George Osborne, the British chancellor; Robert Zoellick, chairman of Goldman Sachs’ board of international advisers; John Sawers, the former head of MI6; and Henry Kissinger, the former Secretary of State. Princess Beatrix of the Netherlands is a regular attendee, given that the meeting was founded by her father. It is worth noting the growing presence of Google at Bilderberg Group. The company’s executive chairman, Eric Schmidt, is on the group’s steering committee; for instance, for the meeting in Austria 2015 he will be joined by his vice-president for engineering, advanced technology and projects, and the vice-president of engineering for the not-at-all terrifying sounding Google DeepMind. They, presumably, will be leading the session on artificial intelligence. This will be listened to with great interest by Peter Thiel, the founder of PayPal and director of Facebook. Having said all that, we see that the Bilderberg Group is some kind of authority of an assembly of men, as Isaac Newton correctly predicted. It has received life from the North Atlantic Pact (the two-horned beast), so that it could both speak and exercise the authority of the NWO (the ten-horned beast). Note again that the Bilderberg Group was formed in 1954 five years after the Atlantism was born meaning only that the North Atlantic Pact (the two-horned beast) created the image of the beast: and that image is the Bilderberg Group. Bear in mind that the Bilderberg Group, the image of the beast, was born after its creator, in order to fulfill the prophecy, as it is natural for an image to be a reflection of its precursor, that is the ten-horned beast. However, the Bilderberg Group as the image of the beast is distinct from the authority of either beast, being neither the authority of the New World Order, the ten-horned beast, but its image, nor of the North Atlantic Pact, the two-horned beast, because it is derived from it and empowered by it. Therefore, the Bilderberg Group cannot be called a government in shadow without respect to likeness, because it is a body of the most influential men in the New World Order for so it more truly represents it. The Bilderberg Group is not a government itself, but a political body constituted within the nations which have created it to govern the world behind the scene: exactly as Isaac Newton interpreted the Revelation concerning the image of the beast. The Bilderberger Group’s goal seems to be installing itself as a world government that knows no borders and is not accountable to anyone, but its own self. This is why the present author calls it “government in shadow” and the image of the beast. Again, the Bilderberg Group is the image of the beast being its representative and a vehicle through which private financier oligarchical interests of the most powerful people on both sides of the Atlantic. Thus, they are able to impose their policies on nominally sovereign governments and common people. The idea behind all this is the creation of a global network of cartels in all ten global unions (the New World Order), whose corporate trust is more powerful than any nation on the earth and destined to control the necessities of life of the rest of humanity. And this is not just an idea but a carefully designed and engineered plan to overtake the world affairs. If we have to use something to better describe the Bilderberg Group, we may say that the Bilderberg Group is the head of a ten-tentacle octopus that holds the world in its grip. In order to better illustrate all said so far, in 2001, Denis Healey, a Bilderberg Group founder and, for thirty years, a steering committee member, said: “To say we were striving for a one-world government is exaggerated, but not wholly unfair. Those of us in Bilderberg felt we couldn’t go on forever fighting one another for nothing and killing people and rendering millions homeless. So, we felt that a single community throughout the world would be a good thing.” This is a diplomatic way to say the same thing: global governance. Having said all that about Bilderberg Group, we can conclude that this government in shadow plans to implement what amounts to be the Fourth Reich, the New World Order, through Transhumanist technology, a cashless society along with ingestible microchips, artificial intelligence, Agenda 21, Smart Cities, Smart Drones, etc. Some of these things will be subjects of the next chapters of the present author’s book Reckoning of Time. What Bilderberg Group as the image of the beast is really all about is this: the most radical transformation of the world into a futuristic dictatorship. This is why Bilderberg is a synthesis of computer technology companies, the military-industrial complex, international bankers, the heads of Orwellian media companies, Transhumanist scientists, and of course, politicians. The present author believes that there is only one contender for the image of the Beast and that is the Bilderberg Group created to be the brain of the world governance that governs the world affairs behind the scene. However, how is the Trilateral Commission related to the two beasts and the image of the Beast? As already stated, the Trilateral Commission grew out of Bilderberg meetings and has been a more globalist version of the latter. Or, put it in other way, the Trilateral Commission is “the executive branch” of the political body, i.e. Bilderberg Group. In the following chapters of Part II we will see its role in the last days, but it is sufficient for now to say that the Trilateral Commission, through its three parties: the European, North American, and Asia Pacific Groups, is a key player in the last prophetic events. And along with Russia forms the Big Four in the prophecy in Ezra, that will remain until the mid-time of the last world empire. Where it is said that they will mingle with the seed of men, the Tanak commentator Rashi interprets it thus: they will intermarry with the other nations but they will not be at peace and truly cleave to them wholeheartedly, and their laws will differ from the laws of the other nations. And indeed, the fourth and great empire Daniel saw comprises a mixture of many nations which have “intermarried” in a union of ten regional and more or less ethnically homogeneous groups. But as studied previously, they are unstable unions because by their nature they are not able to cling to each other. And the image of gold the king made was made after the image he saw in his dream in Dan_2:31-45 but not an exact copy of it. The text does not say the image was a replica of the image in his dream because it was made of gold. And where it is said its thickness was only six cubits, we may ask the question as to how it could stand at a height of sixty cubits. Therefore, according to the description of the image Nebukadnetsar built for himself, it appears more like an obelisk, or a pillar of gold rather than a statue of man as it appears in his original dream. Can we expect the New World order through the Bilderberg Group, the image of the beast, has built its own obelisk after the obelisk the king of Babylon built? 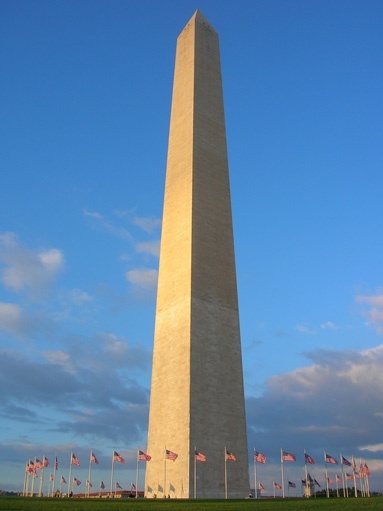 And what an obelisk can best match Nebukadnetsar’s image, but the Washington Monument built by the free masons. And where the prophecy says that the first beast is deadly wounded but was healed, the deadly wound seems be a contemporary of the image of the beast, the Bilderberg Group, and the second beast. What it means is that when the beast has consolidated its power in four unions (refer to the article concerning the Big Four) it will be deadly wounded, e.g. one of them will be eliminated. In conclusion, the image of the beast is not called an image without respect to likeness. The image of the beast is a assembly of influential men representing the New World Order. The image of the beast, Bilderberg Group, is the authority through which the dragon, Devil, rules, and not an image of some kind. To worship the image of the beast is to obey its rules and directives in a very practical way.